The factory key fob for your Jeep is a lot more than just a key. If you need another spare or if you've lost a key fob for your Jeep Liberty, Grand Cherokee or Commander, JustforJeeps.com has genuine Mopar factory key fob for your Jeep. Choose the version with (Item # 68029834AB) or without (Item # 68029833AB) the remote start option. 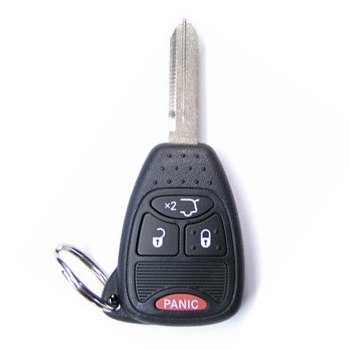 The key fob must be cut and programmed by a Jeep dealer or a locksmith with the appropriate equipment. Please select your option above.